Hi, I'm Gregory the wolverine. I'm 25 year old and live in a small town in Germany and spends most of my time to drawing, working, my cats and listening to music. I love Scrubs, Zelda, Gravity Falls, Adventure Time, Steven Universe, Kingdom Hearts, Shingeki no Kyojin and Silent Hill. 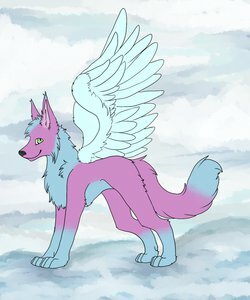 Art trades: Maybe open, please write me.